While an individual can apply for SSDI without any legal assistance, acquiring services of a disability lawyer can be beneficial for their case. The SSDI application process will remain the same, however, your attorney may be able to help you obtain a decision on your claim relatively faster. How Can a Social Security Disability Lawyer Expedite Your Process? There are certain aspects of your application which, if submitted correctly, can expedite your SSDI application. The faster your original application is approved, the sooner you will be able to claim your SSDI benefits. A skillful disability lawyer is equipped with knowledge of what SSDI is looking for, which increases the chances of your application being approved. Firstly, they can better articulate reasons pertaining to your disability and incapacity to work by gathering relevant medical evidence and using appropriate medical terminology and facts that support your case. 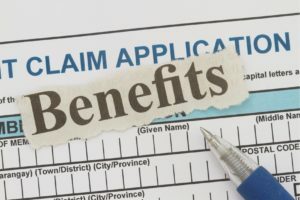 Secondly, in case your original application is not approved, your attorney will also help you to receive SSDI benefits by applying for on the record (OTR) decision. They will write a concise and clear brief which is in line with the requirements set by Social Security. Moreover, they will search for additional evidence to further strengthen your case. In addition to that, they may also draft a proposed decision, which in case of your application approval, may save you considerable amount of time. Assuming that your OTR application is also denied, then your case will be sent to a hearing. Your attorney can devise a letter on your behalf to schedule your hearing date sooner. Moreover, a competent disability lawyer will coach you to communicate your limitations and medical impairments to the court in an effective and precise manner. Finally, your lawyer will also prepare your witnesses to obtain necessary information pertaining to your case. Bear in mind that a disability lawyer does not have a magic bullet, which can expedite your Social Security Disability benefits application. However, their skill set and knowledge regarding the law and regulations applicable to your case can be advantageous for your case and increase the likelihood of your application being approved by SSDI at earlier stages, thus reducing waiting time to receive your SSDI benefits. If you wish to seek further information about this subject or set up a confidential case evaluation with an experienced disability lawyer, contact the offices of Harold W. Conick & Associates at (800) 608-8881 to schedule a free consultation.